Hi! I hope you all are preparing for a wonderful weekend. 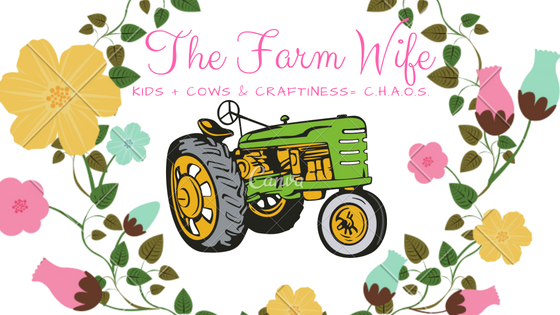 I know ours is booked with work , t-ball, baling hay, working the garden, caring for livestock and a rodeo. Lil' man may be making his debut in the mutton bustin...if so I will be sure to post pictures on Monday. Today is a big day for this little blog of mine. We are announcing the winners of our first giveaway and beginning another giveaway!!! Amanda will now be able to show her support for family farms in South Dakota and South Carolina! Congratulations ladies!! I will be in touch with both of you about your prizes!! 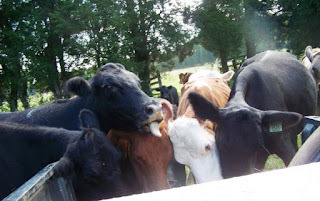 Now onto today's blog topic Grain Fed vs Grass Fed. We have a cow-calf operation on our farm. The majority of our calves are sold to feedlots in the Midwest to be harvest for meat. We do raise some of our calves out for ourselves. When we do this we have them enclosed in a lot like the one in the picture below and feed them grain. Recently I have had a couple of conversations with other moms who seem to think that grass fed is a better choice for their family. That sparked some interest in me as to why they might believe that. So I did some research. I went to sources that know cattle to find out the facts. And basically what I discovered is it is all a choice. Some cattle farmers & ranchers decide to raise their cattle feeding them grain for a portion of their lives while others feed them on grass. 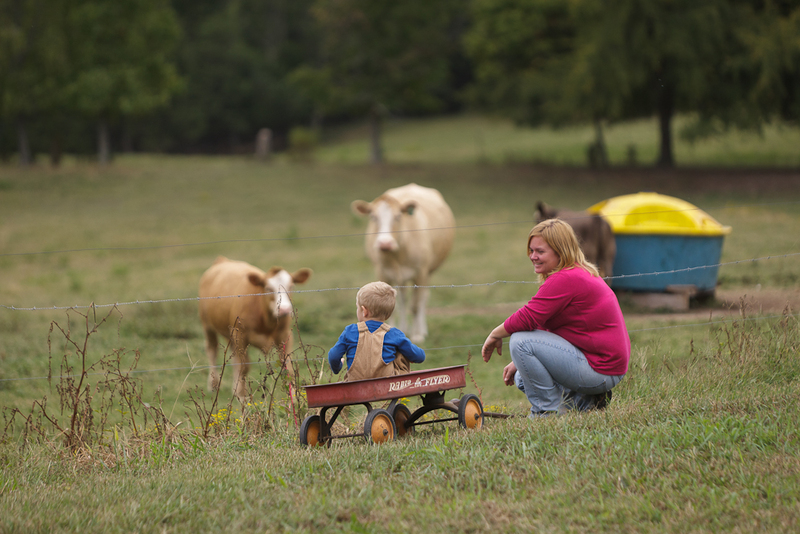 Each type of beef offers value to consumers, all beef is safe and nutritious. There are 29 cuts of lean beef and lean beef meets the daily value of 10 essential nutrients (i.e. iron, zinc, and B vitamins). If you want to know more about the nutritional value of meat check out http://www.beefitswhatsfordinner.com/default.aspx. We are blessed in America to be able to choose what we would like to eat. And this is another one of those choices. tender and juicy product for consumers. beef cattle remain on a pasture and forage diet their entire lives. exception of milk consumed prior to weaning. imported from countries with more temperate climates. I do want to point out that just because cattle are grass fed doesn't make them organic or natural this label just refers to the animal's diet! Now that you know the basics about the differences in Grain Fed vs. Grass Fed...check out the Cow Chow game to learn more about what cows eat! If you have questions about Grass fed vs Grain Fed just ask me. I will be happy to answer them or you can hop over to CommonGround's site and leave a question there as well. 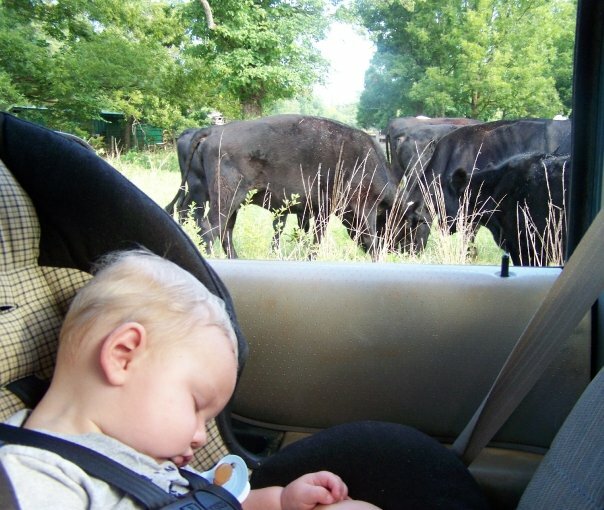 Do you choose Grass Fed or Grain Fed Beef for your family? Why? I choose grain fed, purely for the cost factor. If they were both the same cost, I might choose grass fed, although I do prefer US grown to support farmers here. i choose grass fed and hope it becomes more and more affordable as more people demand it! its costly but i cut out other expenses in order to enjoy quality foods! Thanks for a super giveaway! Thanks for your comment. I am interested to know what made you choose grass fed over grain fed? Do you prefer the taste? Thanks for participating! Grigory what cuts of beef do you normally buy? We usually raise our own cows on fescue and then finish them on a high energy, low protein forage. Crabgrass, annual ryegrass, cereal rye, wheat etc.are good for finishing as this adds fat for a good finish. If you use a forage to finish with too much protein, there is a sort of "wild" gamey flavor similar to deer meet which is repulsive to some consumers. When finished correctly with high energy forages, there is a great flavor. Thanks for your comment. 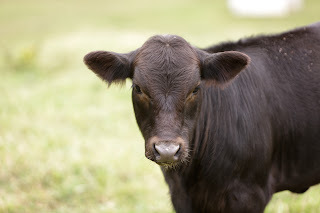 I would encourage you to also check out www.explorebeef.org they have some great info about the choices of beef.